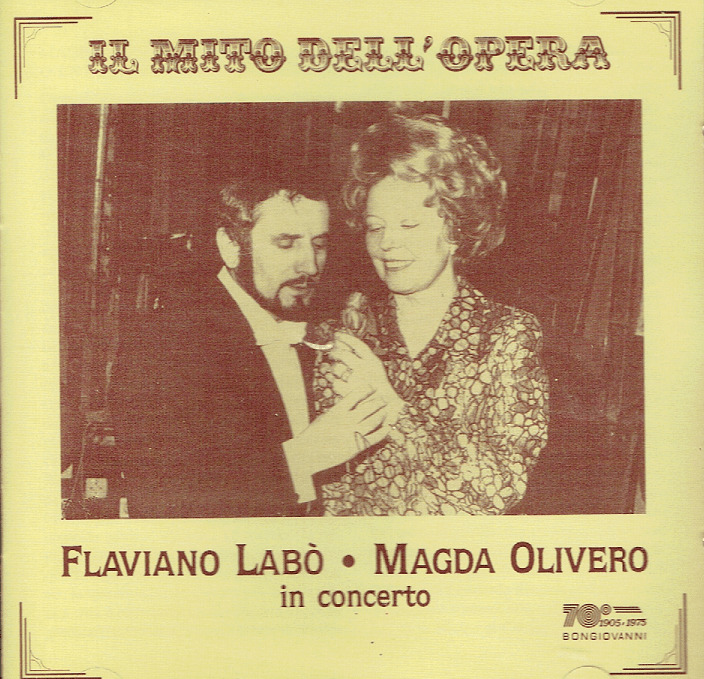 “Flaviano Labò was an Italian operatic tenor, particularly associated with heroic roles of the Italian repertory. Labò was born at Borgonovo, near Piacenza. While in the army, he came to the notice of the conductor Antonino Votto, and subsequently studied with Ettore Campogalliani in Parma, Renato Pastorino in Milan and Valentino Metti in Piacenza. 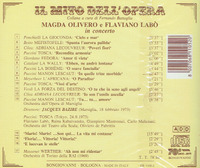 He made his stage début at the Teatro Municipale in Piacenza, as Cavaradossi in TOSCA, in 1954. 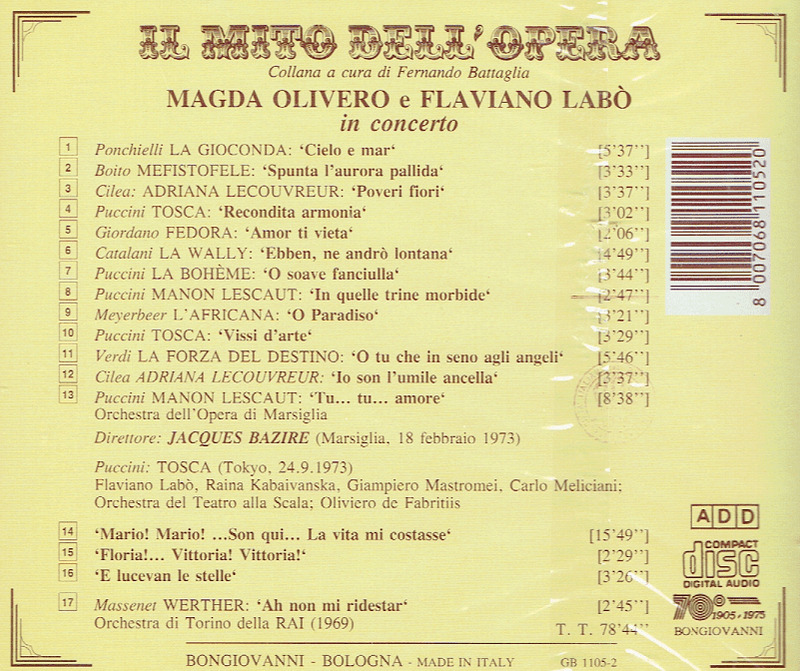 He quickly sang widely in Italy and various European opera houses, as well as in South America, before making his début on 29 November, 1957, at the Metropolitan Opera in New York, as Alvaro in LA FORZA DEL DESTINO, where he sang thirteen roles in eight seasons. In 1959, he sang at the New York City Opera as Calaf in Puccini's TURANDOT (conducted by Julius Rudel) and Rodolfo in LA BOHEME. He also appeared at the San Francisco Opera, and the opera houses of Philadelphia, Houston, and New Orleans.